This is Jake Shimabukuro playing on the Jambalaya stage at Bluesfest 2017. 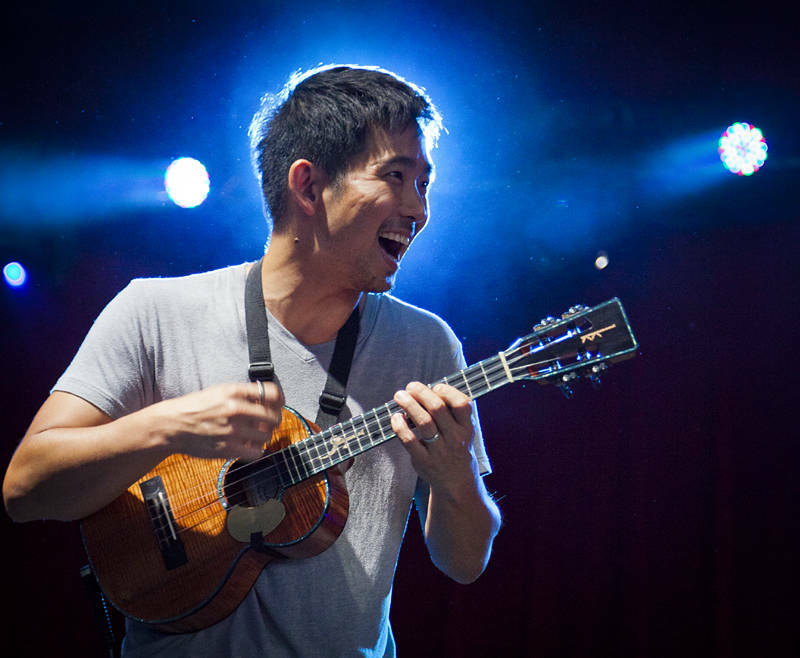 Jake is a Hawaiian ukulele virtuoso who gained international notoriety by being the subject of one of the first ever viral videos. In 2006 unknown to him someone posted a video of him playing “While my guitar gently weeps” on a new website called YouTube. He was flooded with offers and has been making music all over the World ever since.